For almost 100 years, the forklift has held a special place in our hearts. It is one of those vehicles, like rocket ships or diggers, that inspires children with its uniqueness and excitement and demands respect from adults for its awe-inspiring power. For a full half of that time, Doosan Industrial Vehicle (DIV) have been at the forefront of forklift construction. A Korean company, DIV has become a leading global brand for forklifts, and sells its desirable products in almost 100 countries worldwide. 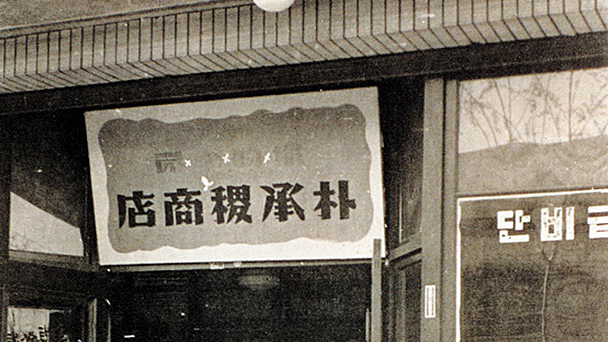 The calibre and name of Doosan itself stretches back even further – founded in 1896, it was Korea’s first modern retail business. It is an honour for us at Fork Truck Direct to work with such a reputable forklift manufacturer – Doosan vehicles form part of the core of our forklift line and we are proud to be able to celebrate this impressive anniversary with them as the leading independent provider of their vehicles in the UK. That childlike wonder reasserts itself as we examine the work of Doosan in the forklift arena. 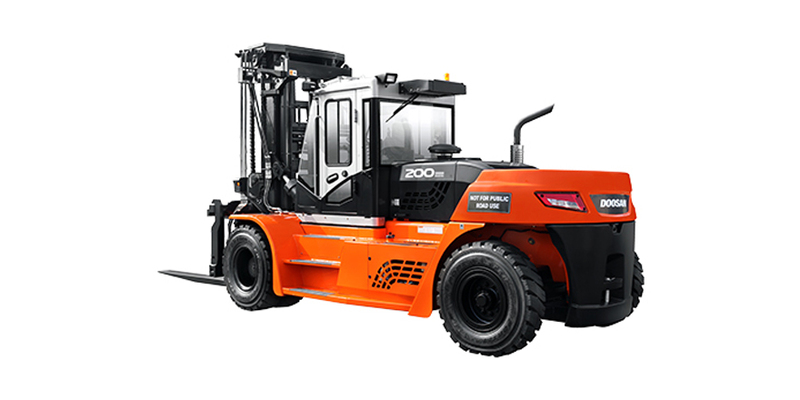 Take the Pro-5 series – a forklift which solidly represents what Doosan is about: robust and reliable, constructed to be affordable and bringing a level of value to the market which proves why Doosan is so well regarded. Its engineering belies its simple nature – with an integrated side shift, and the important oil cooled disk brakes that head up its range of award-winning safety features. While these additional features might not be the inspiration for the child playing in the sandpit, they are the weight behind the brand which makes them one of the first choices for consideration for any forklift needs, no matter what industry sector you are in. From the humble needs of a single warehouse to the staggering fleets of trucks employed by world giants of product logistics, Doosan offers assurance and reliability. It is easy to sidestep the workhorse machines which smooth the daily running of businesses, but as Doosan have proven with 50 years of success, reliability is meant to be unassuming – it is only when things don’t work that we give them attention. Attention now is deserved, however, on their 50th birthday. It is such a wonderful sign of success – but five decades of market-leading don’t come without hard work. Doosan themselves are not short in acknowledging the hard work their employees and affiliates put in. It is, of course, that ability to change and progress which brings them to their half a century anniversary. Doosan’s homeland of South Korea has seen major upheaval and change in the years since 1968 – with periods of martial law and great political transformation, yet the company was able to work through all that, solidifying themselves on a world stage in spite of many national instabilities. Internationally, Doosan Industrial Vehicle has weathered much – the shades of brown styling that defined the 70s; the punk, yuppies and bad hair of the 80s; the technological rising of the 90s; and the internet-driven world and social media revolution of the 21st century. 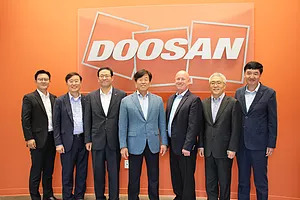 Steeped in its own traditions and shared values, Doosan has shown itself to be a company unperturbed and able to rise above the noise of the world. Steadfast – the dictionary defines it as ‘resolutely or dutifully firm and unwavering’ – certainly a term deserved by a company which has constantly provided state-of-the-art machinery to the industry for so long. Fork Truck Direct would like to wish DIV our congratulations and the very happiest 50th birthday. Our continued association with this inspiring company helps us to understand our own business as we work tirelessly to bring quality equipment to our customers – equipment that can be relied upon time after time to deliver without fanfare. We can only hope that one day, we too will be celebrating an anniversary of such magnitude! If you are looking for a forklift for your company needs, whether it’s a lightweight electric machine to help in the warehouse, or to expand a fleet of tireless diesel workhorses – contact us today and maybe you will see the value in a Doosan truck – 50 years of experience and masterful engineering for sale or for hire.